Laverna A. Stewart, 96, of Quincy, passed away at 3:47 p.m. Wednesday (September 12, 2018) in Good Samaritan Home. Born April 10, 1922 in Quincy, Laverna was the daughter of Chester E. and Lillian M. Wulfmeyer Birrer. She married Donald G. Stewart on September 6, 1942 in the First Presbyterian Church in Henderson, Kentucky. He preceded her in death on September 11, 2006. Laverna attended Quincy Public Schools and was a graduate of Quincy High School. She was employed at Illinois Bell Telephone until she became a full time wife and mother. Following Don's retirement, they enjoyed spending many winter months in St. Petersburg, Florida, where the attended virtually all of the St. Louis Cardinals spring training games. A lifelong member of Salem Evangelical United Church of Christ where she was baptized and confirmed, Laverna also served as an advisor for both the Junior and Senior High youth groups, was an Undershepherd and served on the Board of Christian Education. Laverna was active with the Salem Womens Guild and Couples Club. Laverna was a member of Alpha Chapter 109 Order of Eastern Star, Miriam White Shrine of Jerusalem, and was a past member of the DeMolay Mother's Club, University of Illinois Mother's Association and a past officer of the Beta Theta Pi Social Fraternity Mom's Club at U of I. Laverna held various offices in P.T.A. and served on many committees and fund raising drives. 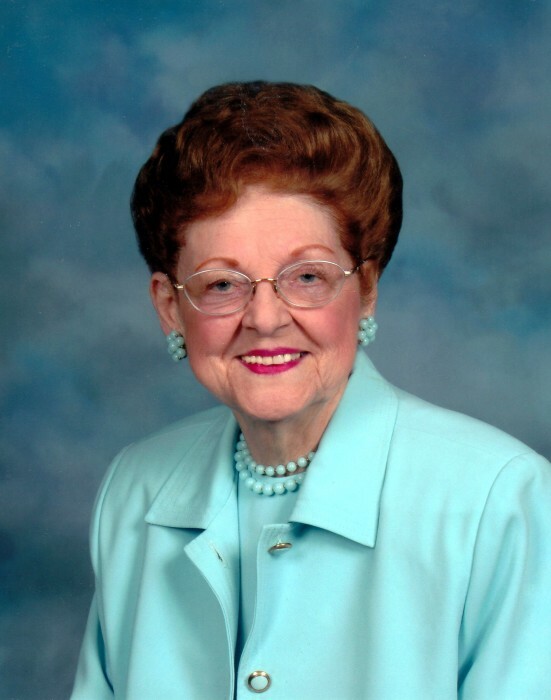 Her great aunt, Margaret Bastert, was a co-founder of Good Samaritan Home and Laverna was a life member of the Good Samaritan Home Auxiliary and the Good Samaritan Home Association. For many years, she was an active supporter of the Quincy Community Theater and a member of the Women's City Club. Survivors include her daughter, Susan L. Stewart of Chesterfield, MO; her daughter in law, Linda R. Stewart of Reston, VA; her granddaughter, Tracy M. Stewart and her husband, Kevin Toop of Reston, VA; her great granddaughter, Caitlin Toop of Reston, VA; a cousin, Maxine Anderson of Winona, MN; and many loving nieces and nephews. Laverna was preceded in death by her parents; her husband, Don; and her son, James K. Stewart. Funeral services will be held Monday morning at 11:00 in the Zehender Robinson Stormer Cookson Funeral Home with Pastor Steve Disseler officiating. Burial will be in Greenmount Cemetery. Visitation will be Monday morning from 9:30 until the time of services at the funeral home. Memorials may be made to Salem Church or Good Samaritan Home.